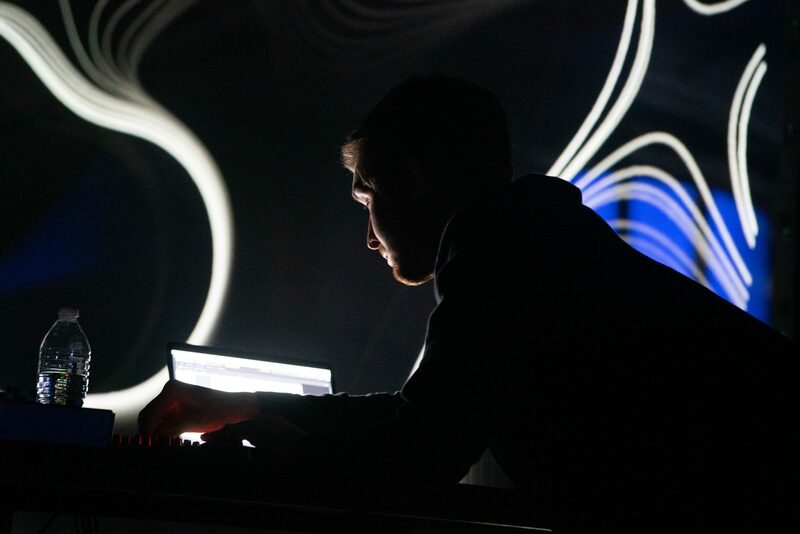 “Membrane” is a generative audio-visual work that merges installation with live performance. 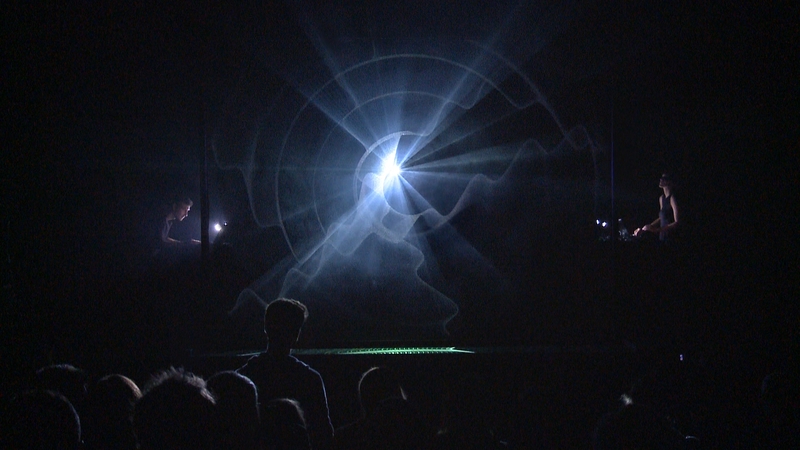 Volumetric projections hover between the performers, caught between rising smoke and an invisible material. 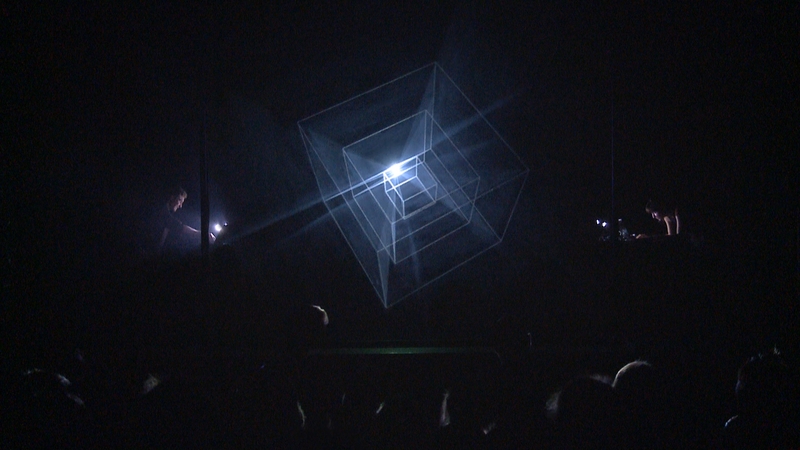 The membrane vibrates with audio-reactive algorithms, the space between perception and illusion. 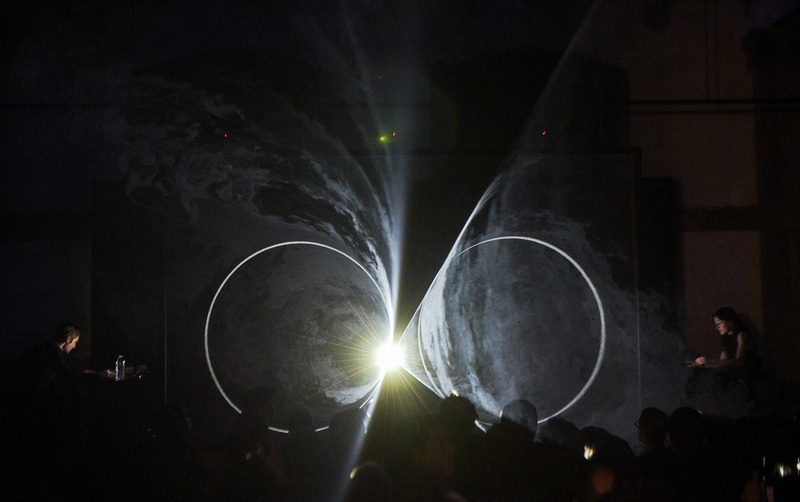 Three-dimensional, volumetric creations hover between the performers, caught in a haze of rising smoke and data-reactive lighting. 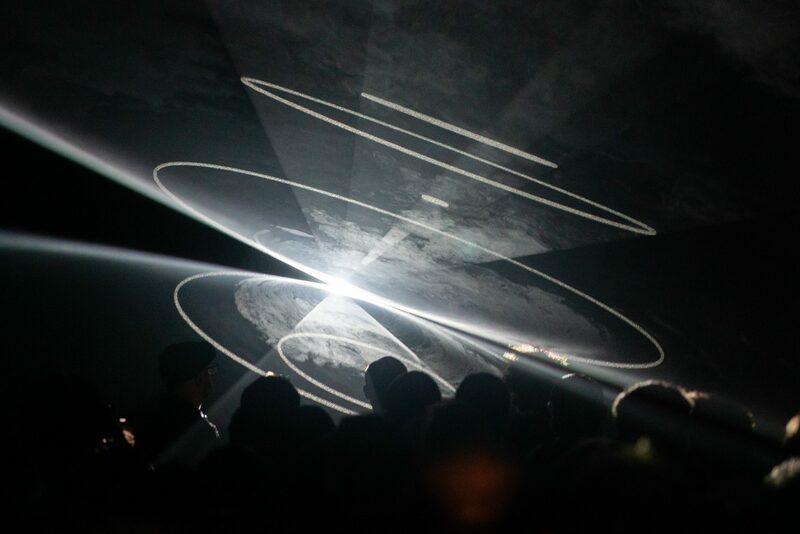 A twelve-foot transparent screen captures the shadows of these holograms, connecting audiences to virtual entities realized in physical space. 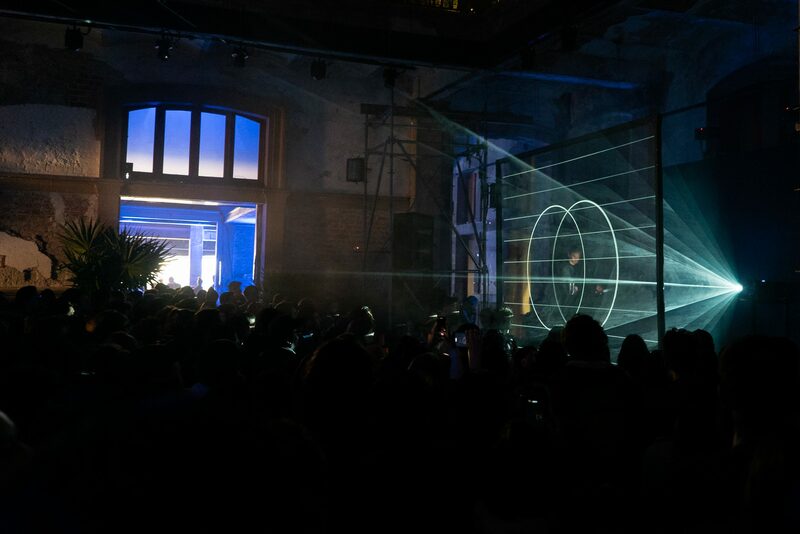 A short-throw projector is placed behind a twelve-foot tall scrim. 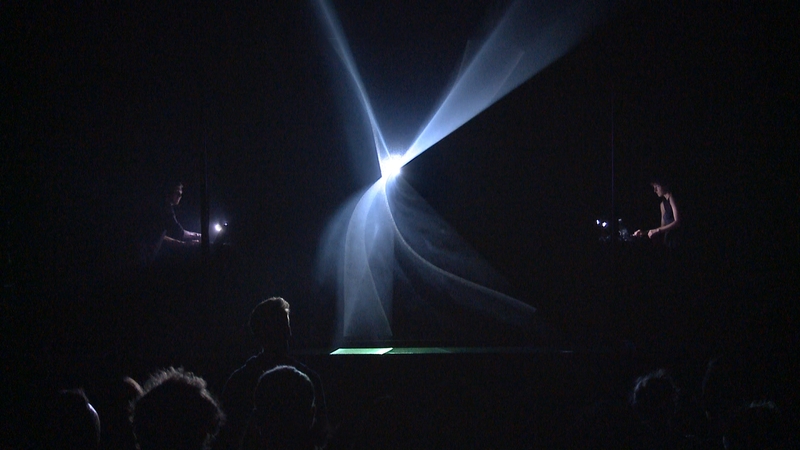 As light is projected onto the screen, it passes through the vapor produced by smoke machines. Three-dimensional images appear in the vapor (a method known as “volumetric projection”). 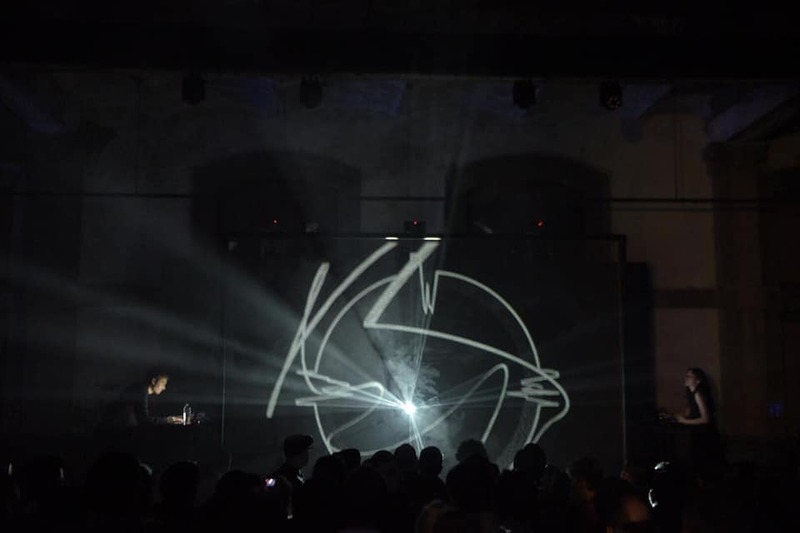 The work explores a space between perception and illusion using psychovisual and psychoacoustic effects. 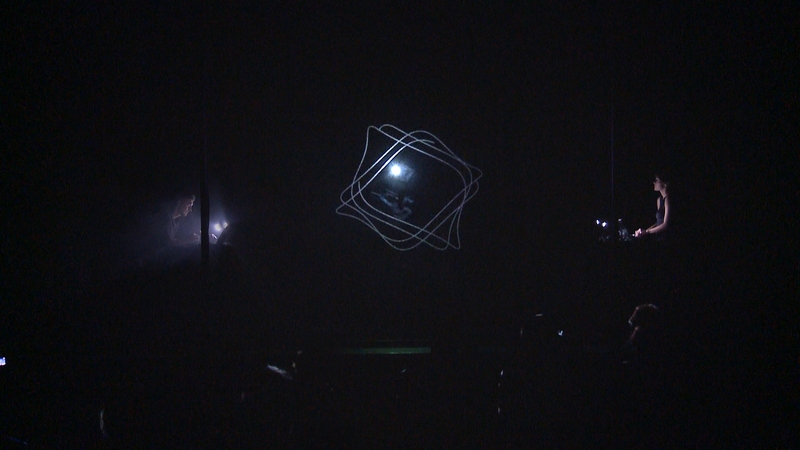 The projections mimic the texture of the transparent screen: the ‘membrane’. The screen appears to twist and vibrate in unison with the sound. 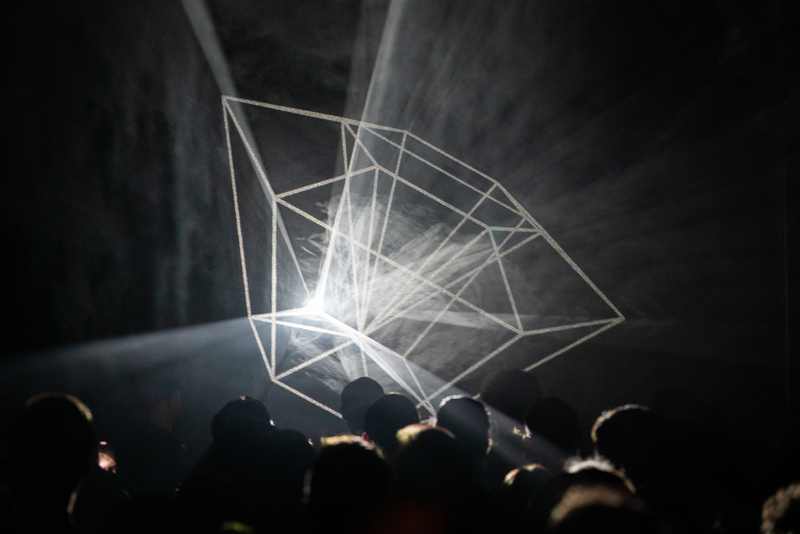 Low-frequency sine tones create synchronicity between the physical bodies of the audience, the movement of the projections, and the frequency of the tone. This idea is inspired by ‘biosynchronicity’, where biological systems fall into rhythm with one another.